-The game starts (wild) will only appear on reel 3, and subtitute for all other symbols including scatter. When wild appear, it will expand to cover all positions on the reels before pay are awarded. The prize is triple when one or more wild subtitute in a winning combination. All symbols pay left to right including scatter. - Line wins are multiplied by bet per line. Highest win only on each line. 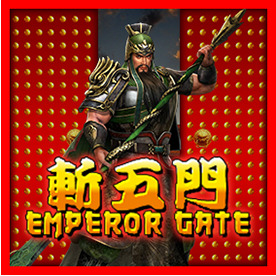 - Maximum win per paid spin is 50,000 times bet per line. -The Win-Win Feature triggers when the overall win from the Triple Wild Feature ( excluding any initial trigger win) totals 10 times the triggering bet or less. -Win-Win feature prize are awarded after the Triple Wild Feature end.